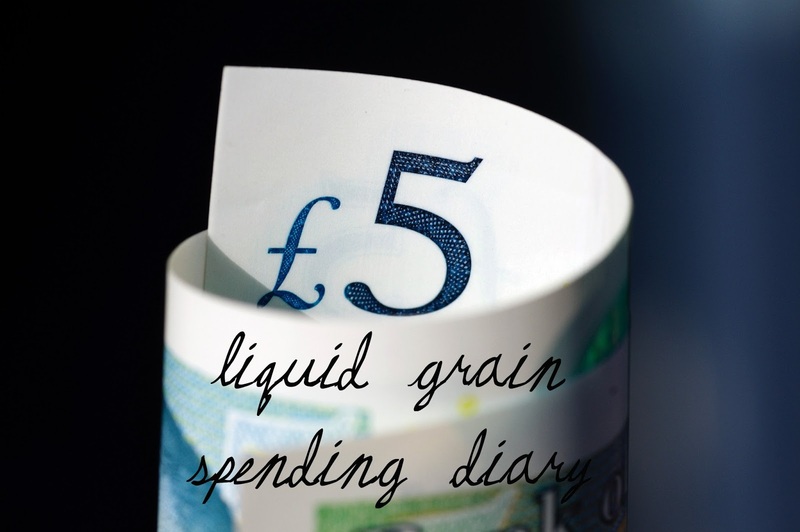 Remember, I would really like other people to contribute their weekly spending diary - anonymously or not! Please get in touch via email or social media! I'm working from home again today, trying to tie things off before I go on leave again. So no spending yet as I'm eating from home. My monthly mobile phone payment is taken from my bank - £12.10 for a sim only deal. I'm back on annual leave - I have to use all my leave by the end of this month so I'm taking advantage of it! I'm back on my deep clean mission and I need more cleaning wipes, I pick them up - £1.79 - on my way to the dentists. My teeth are fine - although I need to floss more, so it's pretty cheap at £16. I need to post the clothes I sold on ebay last week, one last stop - £3.90. You know what they say about best laid plans... I was planning to clean upstairs today but instead I'm watching Disney films and blogging. Since I've got some time off, Mum and I are going to St Andrews for a few days to chill out. I have a conference for a few days for my MLitt so I'm excited to get into the academic bubble again! Mum buys lunch on the road, but once we get to St Andrews we chill for a bit and then head out to dinner which I get - £29.15 from St Andrews Brewing Company - a great pub which is also very dog friendly! It's the first day of the conference today, so when I wake up I take Hetty out before getting breakfast at the hotel. Registration for the conference opens at 9 so I head to Parliament Hall, although it's really cold (-1) it's dry so I'm enjoying walking though the town. The conference is great, there are some really interesting speakers plus they are feeding me so lunch and dinner are free! Day two of the conference and I've picked poached eggs and toast for breakfast. Again, the conference feeds me lunch before the formal portion wraps up. All that is left now are the informal 1-2-1 meetings that are arranged to get in touch with the staff and pick their brains for our research. The meetings have left me really excited to get stuck into my research project, now they've wrapped up I head back to the hotel and Mum pays for dinner at the pub under the hotel. Today is our last full day in St Andrews, plus I have no commitments so I have a bit of a lie in before breakfast. Mum and I go for a nice long walk on the beach before heading in town - just as the snow begins! The weather means that we end up going into more shops than expected (but that's not a bad thing because St Andrews have some great shops). Although we browse a lot in the bookshop and Mum buys a lot of bird and nature books for her Solway Silver designs, I've held myself back and don't buy anything in the gorgeous Topping & Co bookshop! We're working through the town and in Joules I get a pack of three mini notebooks but Mum pays because she's buying some other stuff there. I've been having a bit of a striped trouser phase recently, in December I bought some grey chinos with a red stripe down the side and I've spotted a loose fitting navy pair in The White Stuff sale. Not only are they in the sale, there's an additional 20% off - I'm sold for £21.60. We have lunch in Bibis cafe, I order a great bacon and brie panini and Mum really loves her salmon salad - she pays. Next up on my shopping spree, I go to the Student Union to get some obligatory St Andrews swag - hey, don't blame me I've been graduated for two years now so my stuff is looking a bit worn! To satisfy my branded desire I buy an orange crested notebook and a St Andrews school scarf I've wanted for years but never justified the £40 price tag (today I can... apparently). Plus I pick up three retro postcards, which are literally from the 90's, one for my journal and two for friends who are fellow alum. It ends up to £45.20.